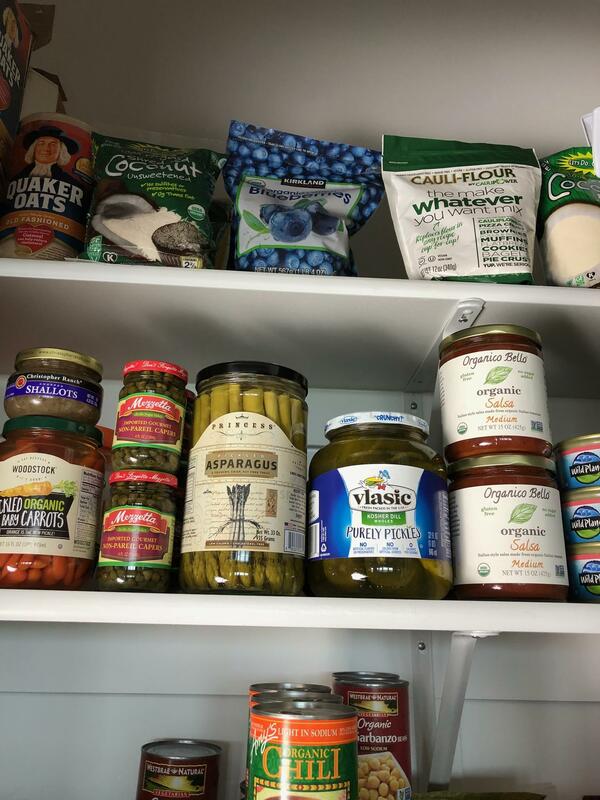 A few months ago we moved into a new home, so it was THE PERFECT time to DECIDE what we truly wanted in our pantry (and what we did not!) – then to become totally organized once again! We eat what is readily available, right? P.S. We have 6 children, always shop/watch the sales, eat at home A LOT, and we REALLY value high-quality food because our bodies are so important! Obviously, this is suppperrr, ultra-organized because we JUST thoroughly restocked and set it all up…which I’ll re-do 3-4 times per year. 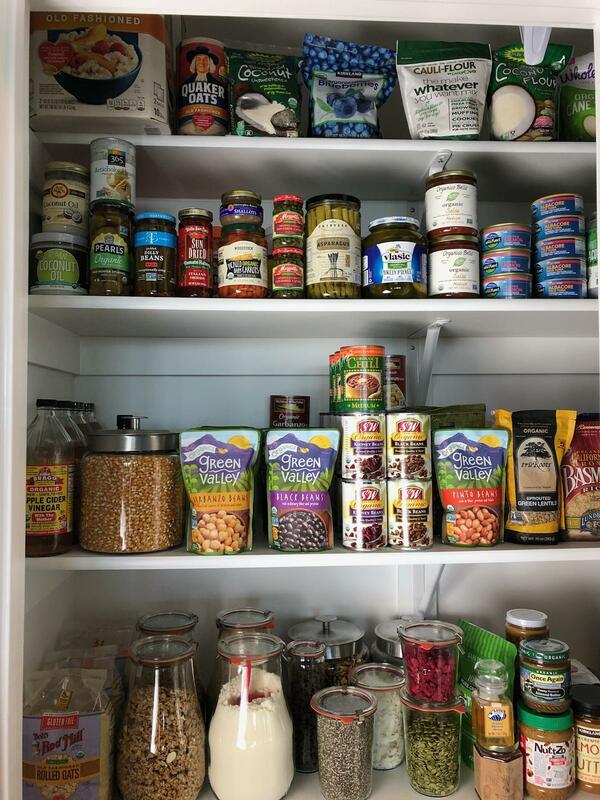 This post is meant to inspire you to take inventory of your kitchen cupboards and see if you’re stocking them with the items that make Clean Eating easier, or more difficult for you. 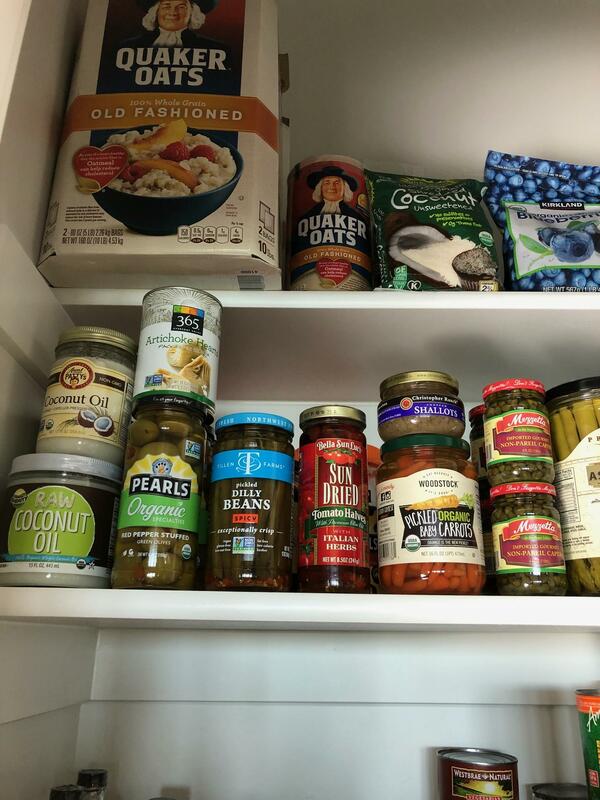 When I notice that one of our pantry staples is on SALE, I’ll grab a bunch…that way we always have the basics on hand and we’re only buying food at the best price. 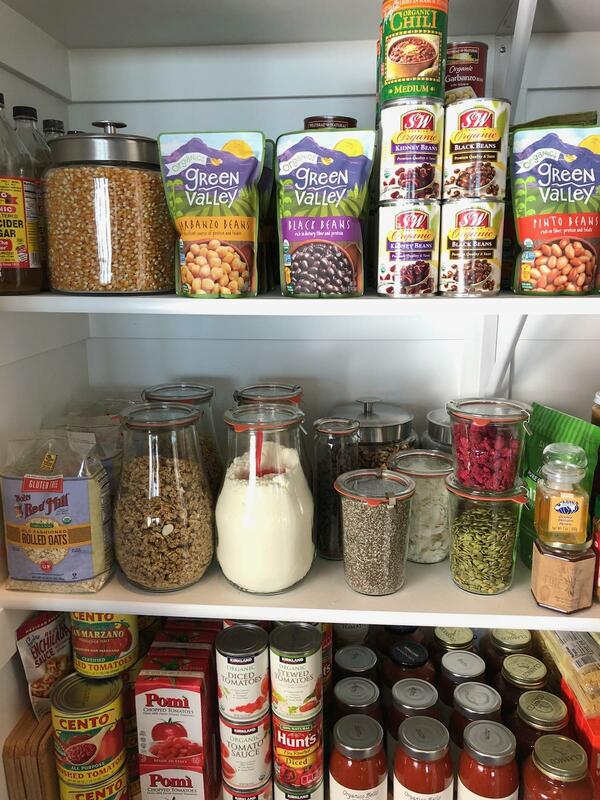 I keep a “Breakfast” area in the most accessible part of the pantry that has items for morning smoothies, oatmeal, and granola easy to grab and use every day. 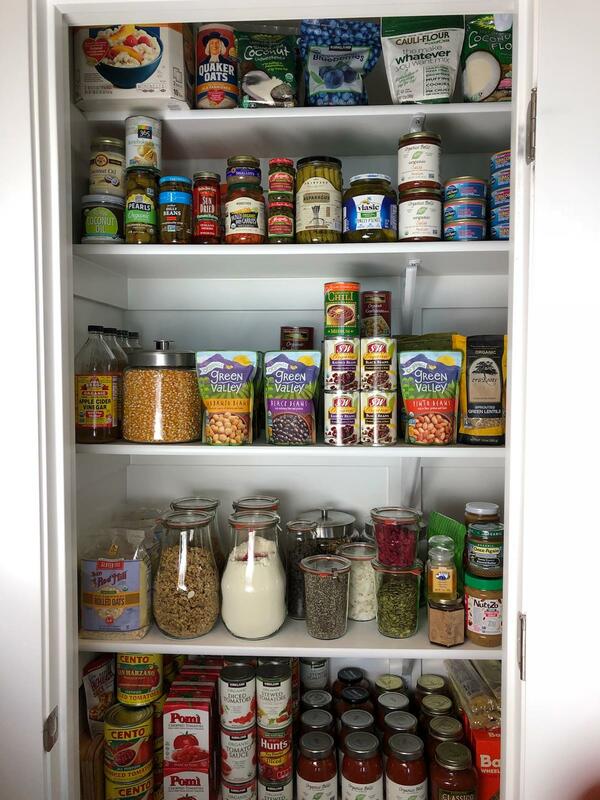 I like to keep Oatmeal that I purchased on sale, all-natural granola, protein powder, lots of raw nuts like pecans, walnuts, and almonds (I find that Costco has the best prices on nuts!) 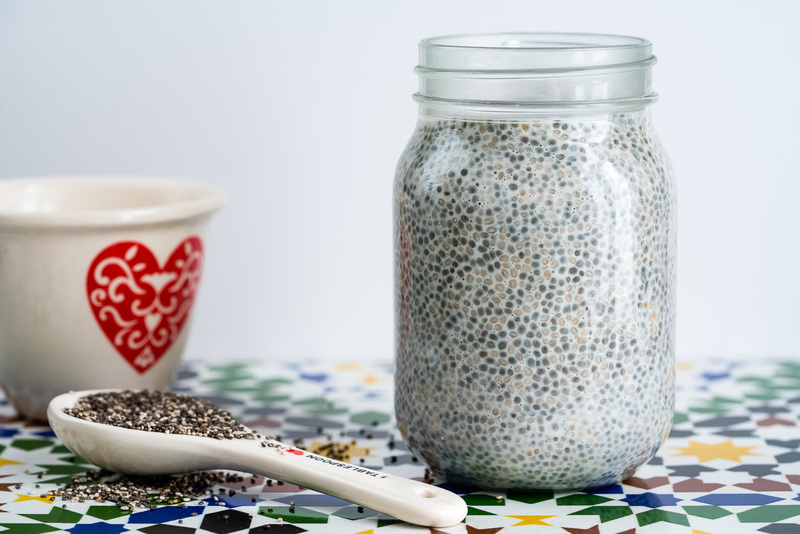 chia seeds, dried coconut, and other dried fruits. 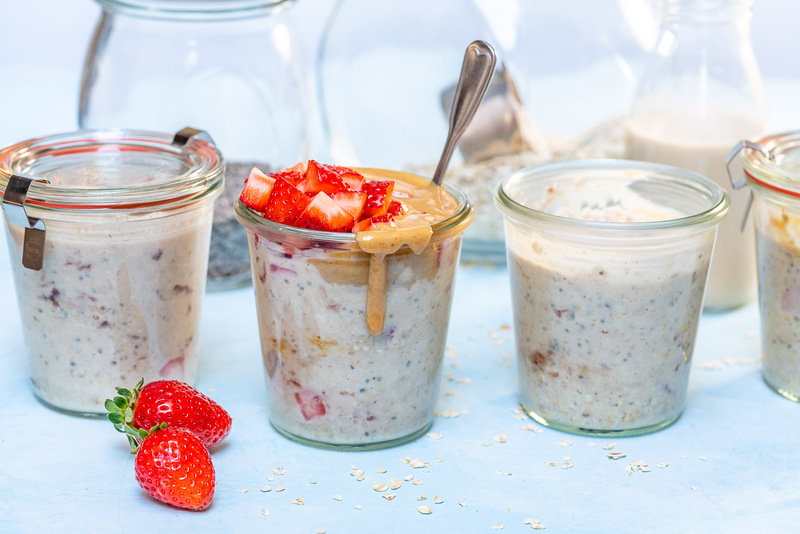 We are so much more likely to throw a smoothie together or add some healthy toppings to our morning oatmeal when we have everything organized, and super easy to grab. 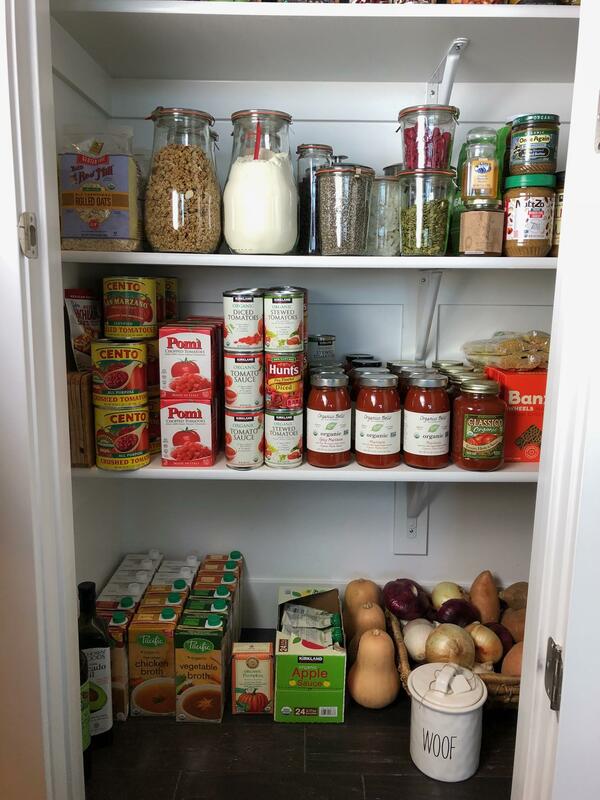 I believe that keeping a well-stocked pantry actually saves money while keeping us healthier! We don’t need to stop for take-out, fast-food, delivery, or convenience items, because I know that we have all the high-quality basics at home to make any recipe from the CFC website! Yep! 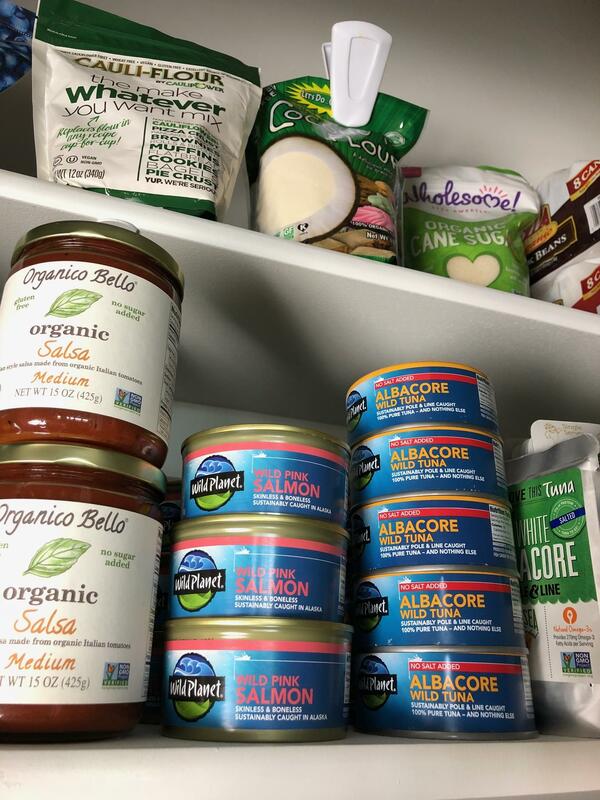 All of these basic staple items are used a lot in the CFC recipes…so this gives versatility and ease in the evenings, after a busy day – I know that I can have a meal ready within 30 minutes, using all the highest quality ingredients that are already on-hand, AND everything was purchased at the lowest price. Please don’t feel overwhelmed, or that you have to do it my way. Do it your way! 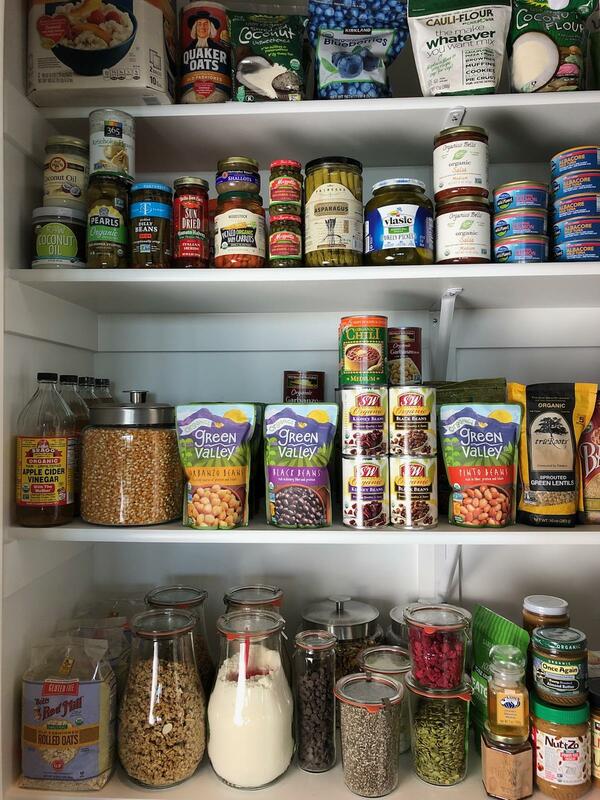 Purchase things YOUR family loves, and take an entire year to convert over to a Clean Eating Pantry goal if that’s easier for you! Various oils such as avocado, coconut, and olive.